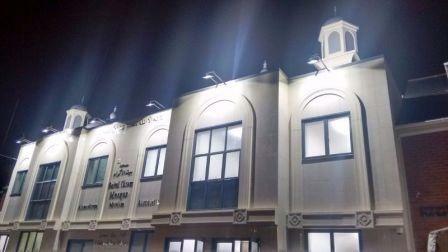 The Spiritual leader to millions of Ahmadiyya Muslims around the world is in Leicester today opening a new £1m mosque. His Holiness Mirza Masroor Ahmad is the guest of honour at the Baitul Ikram Mosque in Clarendon Park. It’s been entirely funded by the local Ahmadiyya community and our reporter Melissa Wright joined them for the final preparations. Share the post "Spiritual leader Inaugurated new Mosque"